This evening when I picked up my kids from school, they both said they were really hungry and asked me what was for dinner. I replied that I didn’t know, but that I saw that Mariko had set the rice cooker so I figured we’d be having Japanese food tonight. And when we got home, the house smelled so good! 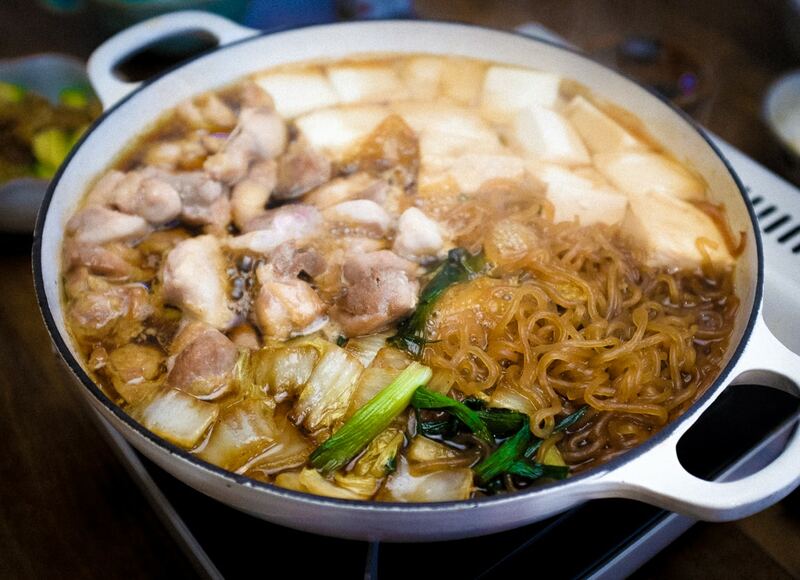 In the kitchen, there was a nice pan of sukiyaki (すき焼き) on the stove bubbling and ready to eat. Usually, sukiyaki is made with beef, but tonight’s was a chicken sukiyaki, with tofu, greens, konyaku noodles, and udon noodles. And we had farm-fresh egg to dip it in. It was delicious! The combination of chicken and egg reminded me of my favorite food, oyakodon (親子丼).